As the world develops and implements new forms of renewable energy for automobiles, Toyota has found it’s stake in the game, hydrogen fuel cell technology. Unlike hybrid, gasoline, or electric engines, hydrogen fuel cell engines will use hydrogen as their main source of power. While Toyota has developed a vehicle with this capability, the Toyota Mirai, the technology is costly and hydrogen pump stations are very few and far between. Toyota’s goal is to bring hydrogen fuel cell technology to more places, like Clermont, and make the technology more affordable and accessible. Toyota of Clermont is here with all the details on Toyota’s mass-production goals and when you can expect to see hydrogen fuel cell technology at the dealership! Hydrogen is one of the most abundant elements on Earth and can be produced and harnessed through a variety of means. Like electricity, it’s readily available and its efficiency depends on how its produced. Hydrogen fuel cells work similarly to electric engines in cars, but they never need to be recharged. They are refilled with hydrogen at pumping stations that are like gasoline pumps. Using this technology can reduce carbon dioxide waste product by 90% and water is the only thing emitted from the tailpipe. Fuel cell engines have no moving parts and don’t require an oil change. Because of their great efficiency, hydrogen fuel cell technology engines can travel farther than a gasoline engine whole using half the amount of hydrogen a typical engine would use in gasoline. A few of the issues facing access to hydrogen fuel cell technology is its lack of availability to Clermont Toyota drivers and the fact that the technology is expensive. But, Toyota hopes to change all of that by mass-producing fuel cell vehicles. Currently, the Clermont Toyota Mirai is being improved to be more compact and efficient and could be available in the early 2020s. But, Toyota isn’t stopping there. With plans to reduce expensive materials in the engine and move towards incorporating hydrogen fuel cell technology in SUVs and pick-up trucks by 2025, Toyota aims to prove that this technology is the best source of clean energy for automobile operation. There are also talks of improving the driving range of hydrogen engines from around 300 miles (the typical range for a gasoline engine) to around 620 miles! Renewable energy is the future of the automobile industry and it’s not as far away as you might think. 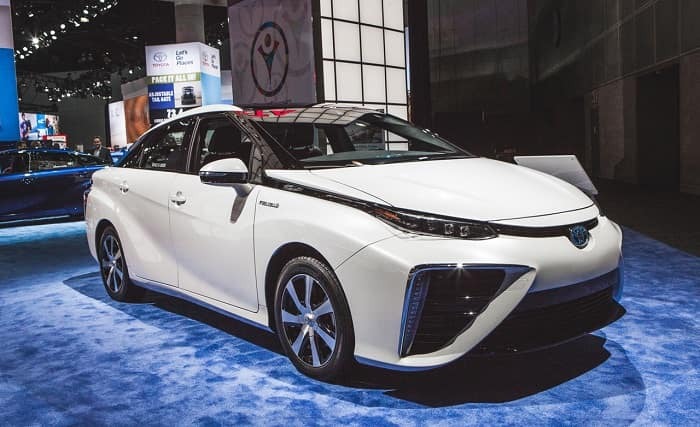 While the only current fuel cell equipped vehicle is the Clermont Toyota Mirai, Toyota of Clermont has several hybrid vehicles that will cut back on emissions and save you at the pump! 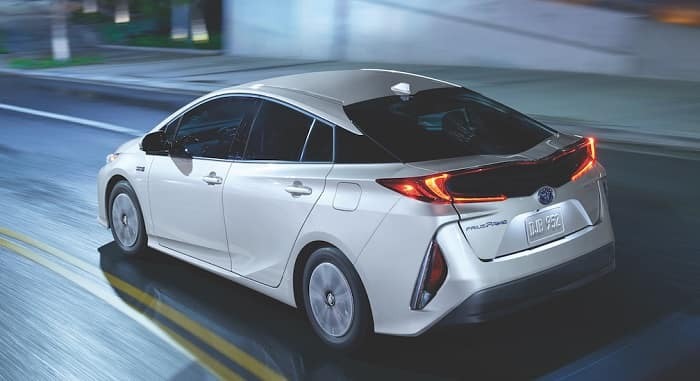 Check out vehicles like the 2018 Prius, Prius C, Prius Prime, 2019 Avalon Hybrid, 2018 Camry Hybrid, 2018 RAV4 Hybrid, and 2018 Highlander Hybrid. All are in our inventory and Toyota of Clermont waiting for you to take a test drive! Call us at (352) 404 – 7000 to get things set up!